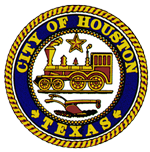 I am a City of Houston employee in the Housing and Community Development Department (HCDD). I request salary data for Financial Analyst IV positions based on how much males are being paid over females, the average length of time the person has held the Financial Analyst IV, and the age of the Financial Analyst IV reflective to their salary. In addition, I request the same aforementioned information for all other Financial Analyst IV employed by the City, as well as their base starting salary.